I know this is super last minute for a Thanksgiving dish, but what would the holidays be without a little bit of last minute cooking? 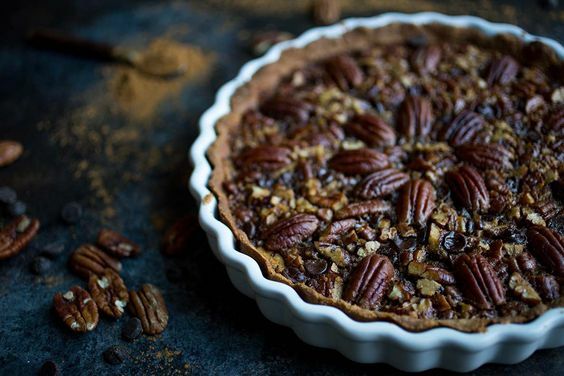 Thankfully, this Paleo Chocolate Chip Pecan Pie is extremely easy to make (prep is only about 15 minutes and baking time is just under an hour) so it is perfect if you want something amazingly delicious but don’t want to struggle with anything too complicated. 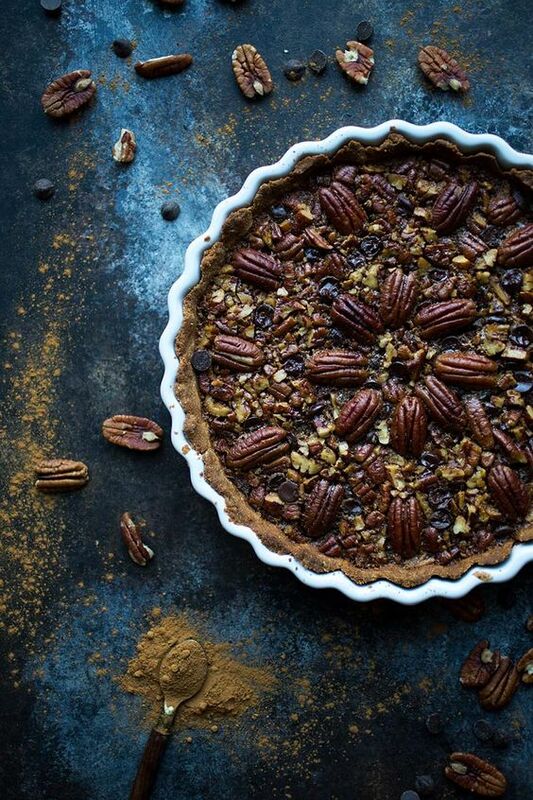 The difference between this Pecan Pie and other pecan pies is first and foremost, the chocolate chips! I am a little chocolate obsessed so I figured why not add some of my favorite allergen-free chocolate chips to the pie. So happy I did because the results were delicious! In a medium bowl, combine all crust ingredients. If too flaky, add a tablespoon of water at a time until the ingredients resemble dough. Do not add too much water, you want a flaky crust so just add enough so that the ingredients aren't falling apart. Press dough into a pie dish. 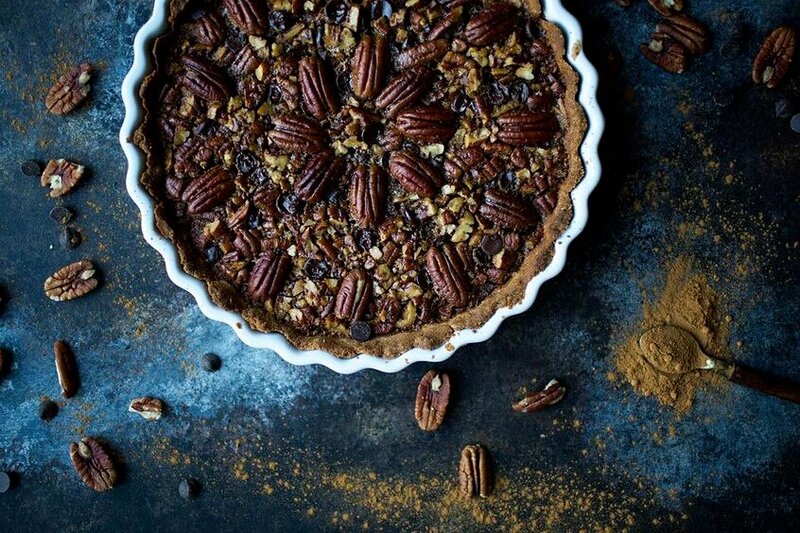 While the crust is baking, chop the pecans and combine the remaining filling ingredients. 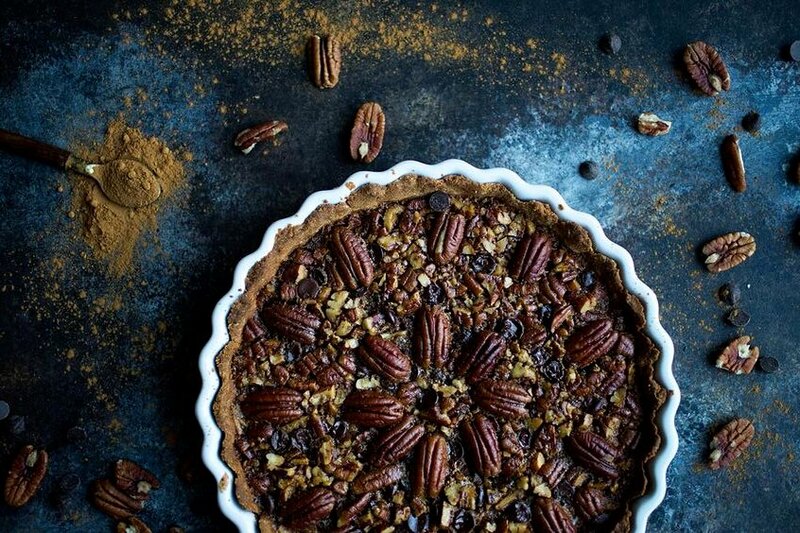 Once the crust is done, remove from the oven and pour the chopped pecans and chocolate chips into the bottom of the crust. Pour the liquid filling on top, evenly. Add a few more pecans to the top for decoration. (Optional). Place back in the oven and bake for 30 minutes. Remove from the oven and tent with tin foil to prevent the crust and pecans from burning and place back in the oven to bake for another 20 minutes. Remove from the oven and let it cool before slicing. Hi!I don’t have cassava flour and won’t be able to get it by Thursday… what other flours do You think will work as a replacement? For the crust, the only thing I could recommend would be a regular gluten free flour. Cassava subs 1:1 with regular flour, so anything else that does that would work. And then for the actual pie, again you could use gluten free flour or coconut flour would also work.